Mobile visitors are potentially your most valuable users We make sure to incorporate logos, typefaces, content, and branding guidelines, and each mobile site is given a custom design. We provide designs that run on and make the best use of all mobile devices, from iPhones, iPads, BlackBerry, Windows Phones and Androids. We also make sure your site is usable and effective. Mobile visitors are different than desktop users – they have different needs, different goals, slower connections, and less time to spend surfing the web. We make sure that your mobile website provides the information, functionality, and experience that your mobile users need and expect. Mobile design is not just “shrinking the desktop” – it is a reevaluation of your users' goals and how best to meet them. We are committed to making sure you make the right marketing decision in choosing your platform. It's not a matter of 'if' you'll go mobile. It's when. 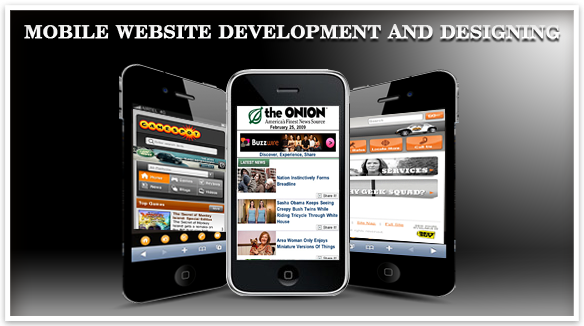 So the choice is really whether you choose a mobile site as your platform of choice or a native APP for each platform. And the toughest choice for most business owners is to think beyond their own personal technology. We understand that iPhone owners are loyal to their product, but the same look for each platform is imperative to maintain brand identity and consistency in product.